Russian President Vladimir Putin congratulated the Russian people on Easter. MOSCOW (Sputnik) – The president praised the “selfless work” of the Russian Orthodox Church as well as other Christian churches aimed at solving important social problems, boosting the institution of family, bringing up children as well as harmonization of interreligious and interethnic relations. “The great holiday of Easter has a special moral sense, spreads the eternal light of faith, fills hearts with joy, love, striving for goodness. 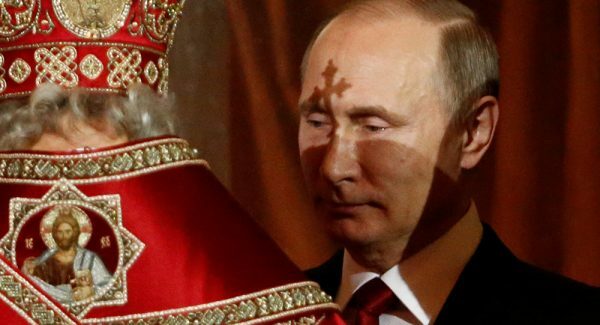 Easter celebrations, that are taking place across the country, trace back to centuries-long traditions of ancestors, promote imperishable spiritual values and ideals,” Putin said, as quoted by the Kremlin press service. Putin also congratulated Patriarch Kirill of Moscow and All Russia and thanked him for his work.